The Rover Mini Rider 382/30 features a 382cc Single OHV Rover engine with a 5 year warranty for added peace of mind, Hydrostatic transmission and a 76cm (30") cutting deck. 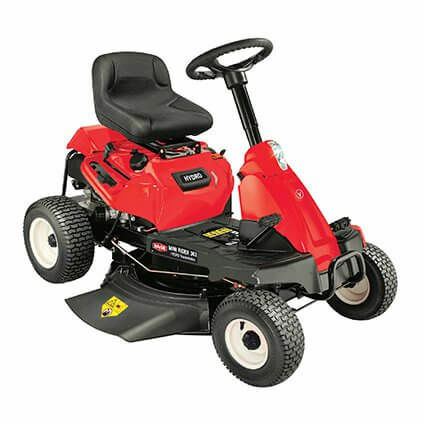 The Rover Mini Rider's compact design is ideal for those who need a ride on mower for mowing smaller areas and that takes up little storage space. Equipped with one single blade which allow for cutting higher grass. Excellent view of the area you are about to cut with the engine at the rear, tight turning circle, mulch and side discharge.